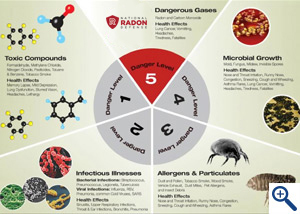 As your local National Radon Defense dealer, The Property Medics is trained and certified to prevent radon gas from entering your home and alleviate a host of other pollutants. We also go through extensive training to understand and educate our customers about overall indoor air quality. 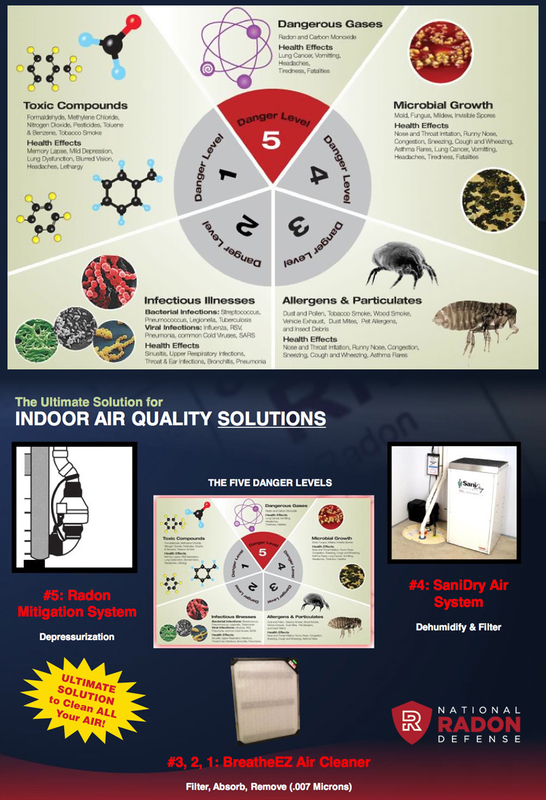 The Environmental Protection Agency categorizes potential indoor air risks in 5 Danger Levels. Call us today for an appointment. Our services are available in Ogden, Salt Lake City, Bountiful and throughout Utah. The Property Medics’s strategies for reducing allergens and particulates include dehumidification and the installation of an electronic air filter or energy recovery ventilator in existing HVAC systems. Indoor air pollution includes airborne bacteria and viruses. Such contaminants are carried into the home by family members and pets. Infectious disease can include either bacterial diseases such as streptococcus, pneumococcus, and tuberculosis or viral diseases such as influenza, RSV, pneumonia, common cold viruses, and SARS. The health effects associated with this danger level are sinusitis, upper respiratory issues, throat and ear infections, bronchitis, and pneumonia. The Property Medics highly-effective air filtration solutions can reduce the presence of viruses and bacteria in your home. Give us a call at 1-844-385-8815 or fill out our free estimate form to schedule an appointment for radon testing. We are the trusted radon mitigation company in Park City, South Jordan, Draper, Riverton, Kaysville, American Fork, Pleasant Grove and surrounding areas of Utah.